This post was sponsored in part by Keter, Cave Tools, K9 Sport Sack and Enchante Home, which provided me with free products in exchange for my review and honest opinion. 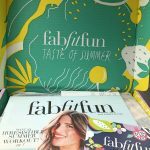 This post contains Amazon affiliate links for your shopping convenience. 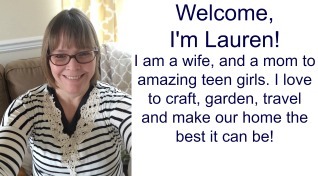 I may receive a small commission that helps fund this blog if you click on an Amazon link. Thanks! Hi, everyone! I can’t believe that it’s already Friday! With Friday here, my daughters only have a half week of school left. Hooray! I can’t believe that they have already completed their freshman year of high school! I’m very proud of them. They worked very hard this year and have done very well. Time is flying. I don’t know if you noticed, but here at Mom Home Guide, there is a giveaway this week for a custom wood photo print. 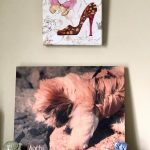 The winner will be given a coupon code to make an 8″ x 10″ custom wood photo print with a photo of her or his choice from CanvasChamp. 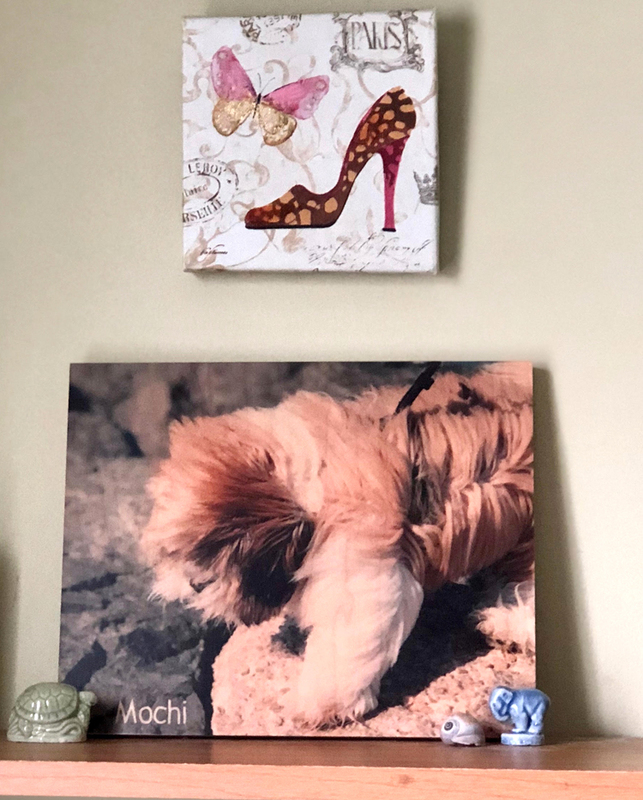 With the help of CanvasChamp, I made a custom wood photo print of my family’s new puppy. I placed it on a shelf in my daughters’ bathroom — I have been working on updating the room’s decor for them. Visit my Custom Wood Photo Print Giveaway |CanvasChamp post to get your entries in. For years, I’ve tried vegetable gardening in a garden plot in my backyard. But, year after year, I’d get few, if any vegetables — the groundhogs and rabbits got them all! But this, year, it’s looking like I’ll have better luck. I’ve just added a raised garden planter to my backyard patio. In that planter, I’ve planted tomatoes, carrots, basil, rosemary and cilantro. It’s been working well so far! 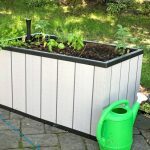 Just this week I added the Keter Urban Bloomer 22.4 Gallon Resin Plastic Wood Look Elevated Raised Patio Garden Flower Planter Bed to my patio. 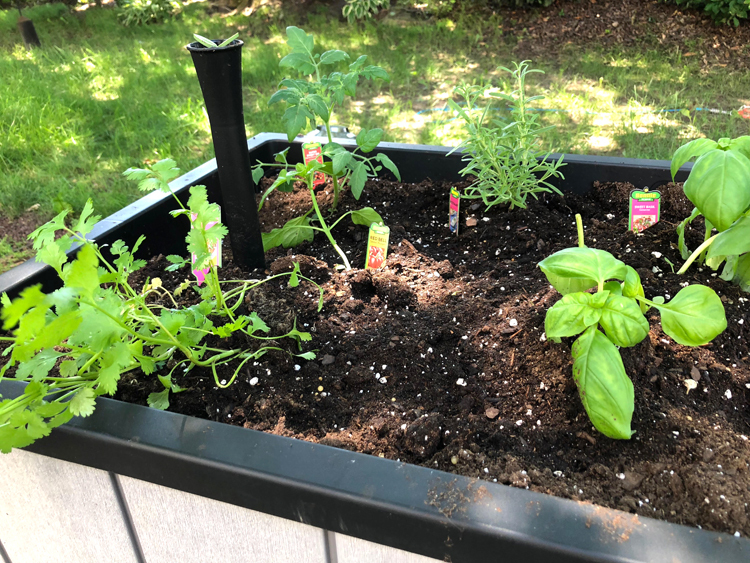 I’ll be sharing more details and photos of what I’ve planted in the planter next week. I’m looking forward to actually growing some vegetables this summer! My family is hoping to take a road trip to Niagara Falls and New York’s Fingers Lake region this summer. 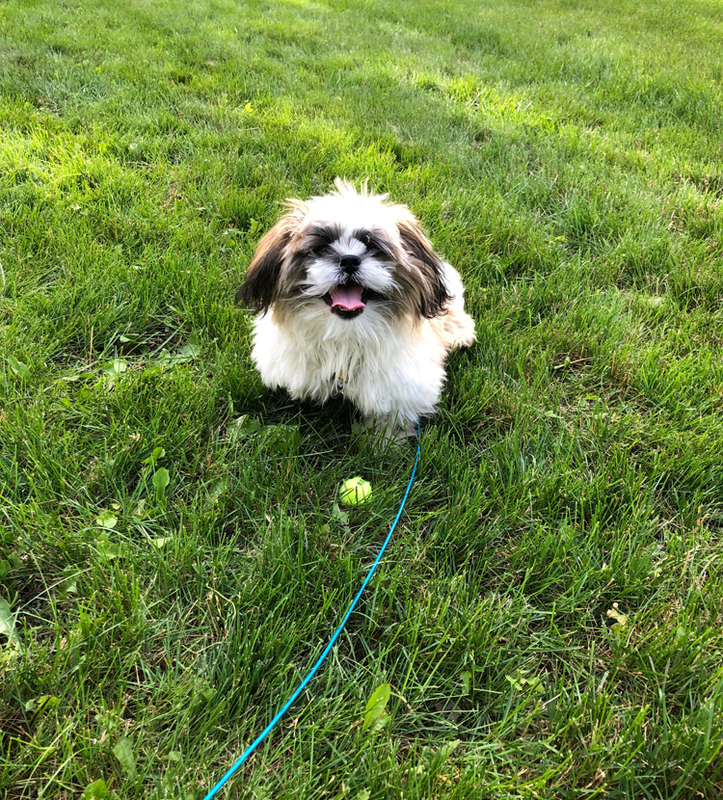 What’s exciting is that we will be taking our puppy, Mochi, with us! 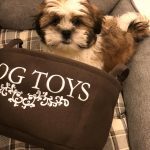 I’m excited because I just received a complimentary K9 Sport Sack to review and try for puppy. 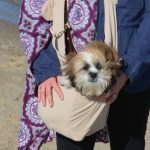 I think this forward-facing backpack carrier is perfect for our pup! I will be sharing photos and a review of the K9 Sport Sack here on the blog soon, so stay tuned! 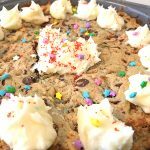 My daughters and I have been focused on eating healthier these days. That means instead of grilling burgers and hot dogs on the grill, I’m grill chicken and fish. We have been liking lots of “salad bar” dinners lately. When I serve a salad bar dinner, I put out fresh greens and toppings my family can add to their salads. Some faves are homemade chicken salad, dried cranberries, shredded cheese, cucumber slices and sliced peppers. To make my chicken salad, I simply grill some chicken breast seasoned with salt and pepper and some garlic powder. 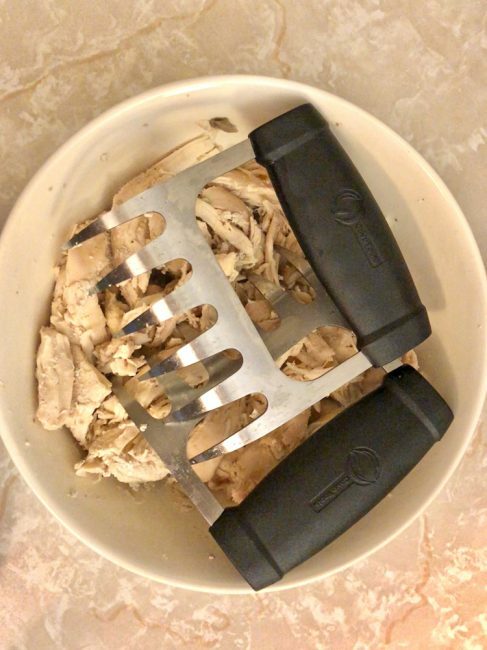 I use my new handy Cave Tools Stainless Steel Meat Claws to shred the cooked chicken for chicken salad. The claws make quick work of shredding and is a lot easier than using a knife and a fork! I later mix the shredded chicken in with some mayonnaise and some diced celery. Sometimes I like to add either fresh basil or rosemary (from my garden) to my chicken salad, too. Cave Tools’ Stainless Steel Meat Shredding Claws are quite sharp and are ideal for shredding meat. They are also quite useful for carving meat, as they can keep the meat steady while you cut. Each claw’s six prongs and wide surface make meat carving safer and easier. I am hoping to make a pot roast in the slow cooker this weekend. I often have trouble lifting my roast out of the slow cooker. I know that these large meat claws will be a big help when I need to lift the roast out of the crock pot. The above photo shows the chicken I shredded earlier this week for chicken salad. 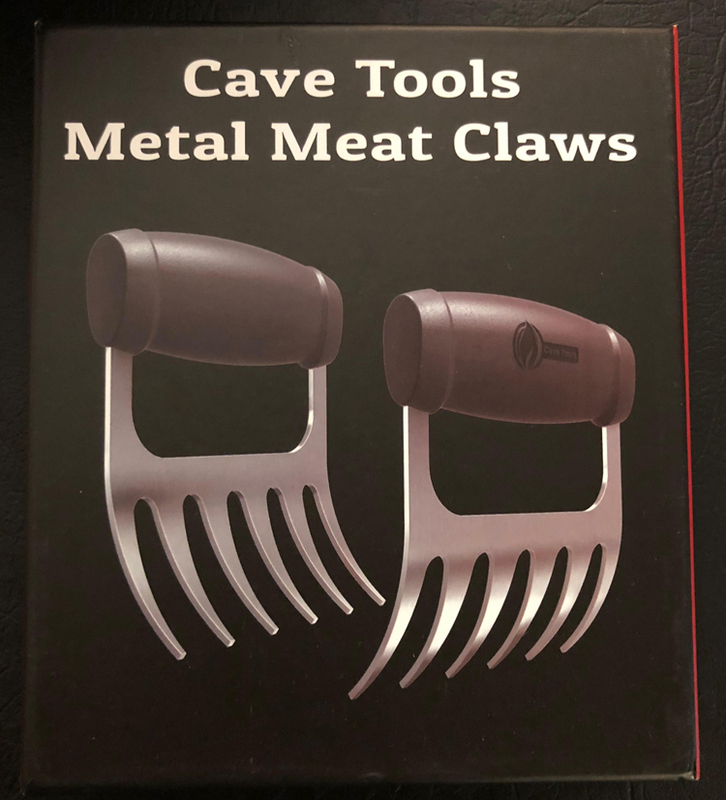 The great thing is that Cave Tools will give 15% off the Cave Tools’ Stainless Steel Meat Shredding Claws with the coupon code, MEATCLAW15 when you purchase them from the Cave Tools website! As I mentioned earlier in this post, I’ve been working to update my daughters’ bathroom. They are now teens and deserve a sophisticated bathroom. 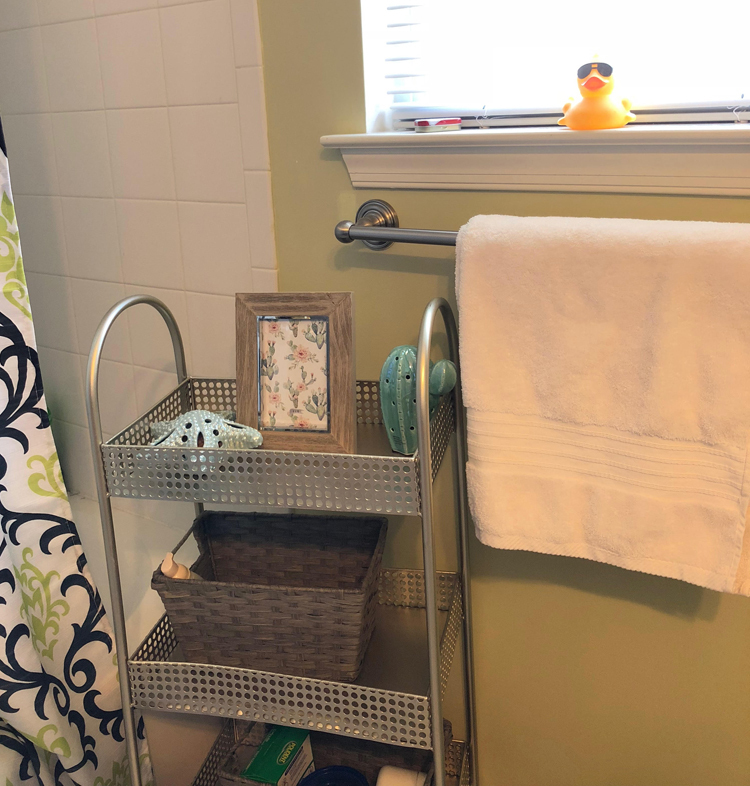 This week I updated their bathroom with Barclay Turkish Towels in Cream. I got each daughter a bath towel, hand towel and wash cloth . 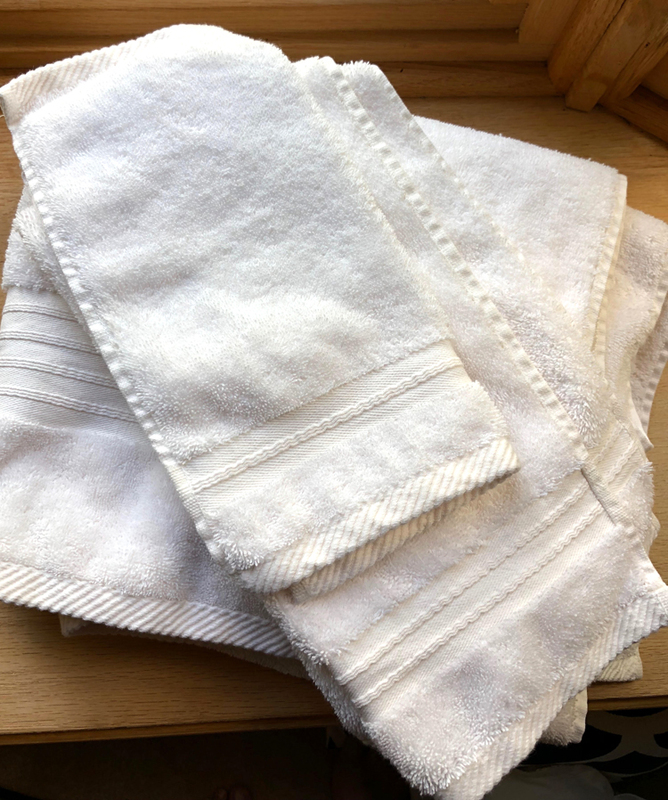 These quick-drying ENCHANTE HOME Barclay Bath Towels are fluffy and soft, and are made from 100% combed Turkish cotton. A plus is that the bath towels, at 54 inches x 27 inches, are quite large. I like the decorative detailing on these towels — I think my daughters will like these towels, too. That’s about it for my Friday Five post — here’s wishing everyone a happy weekend!